Have you ever encountered a bolt that doesn't quite fit your wrench? Of course you have. No matter how much pressure there is to conform, hardware bucks expectations. Here's what to do when you don't want to buy yet another special piece of equipment just to dismantle a bookshelf. Reddit user uglyorgan8038 posted a video of what they label an "instant spanner" in r/lifehacks. In the clip, a bolt that doesn't quite fit the wrench available is loosened with a hand-made adjustable wrench. The maker uses two hex nuts on a threaded rod, then moves their position to fit the bolt's dimensions exactly. There is some debate in the comments as to the potential effectiveness of this hack in real life application. For instance, if you don't have an adjustable wrench, why would you have a piece of threaded rod laying around? The rod would also have to be quite long to give the user the necessary leverage to turn the bolt. The example bolt in the video is also quite loosely screwed into the wood. It may not be possible to use this makeshift tool on something more firmly attached. Assuming you only have one perfectly sized wrench for the nuts, you could throw a couple washers on there to increase contact area and crank down the bolts with that one wrench and have a locking pair of nuts on the other end. Then it'd probably work alright. It won't break free a rusty nut though, unless that threaded rod is really long and like 3/8", otherwise it will just flex and absorb. adjustable tools barely work for anything very tight, and they are designed specifically for it. 3/8"!!?? "flex and absorb"? no dude, sorry. the flex of the bolt is the least of the concerns. the bolts are not holding the "tool" to the fastener. no way, no how. 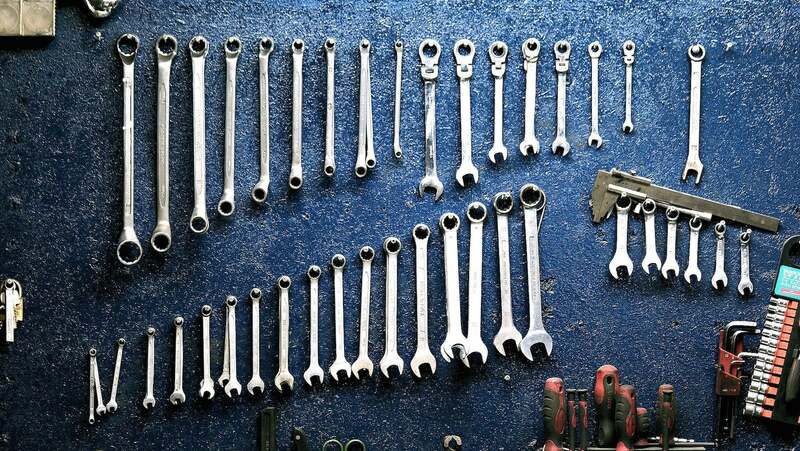 It seems like you might need to buy the specific wrench for every bolt in your toolbox, but in a pinch this trick is worth a try. Sometimes you need to unscrew something before the hardware store opens. How to make the shittiest. Shifting spanner on history.